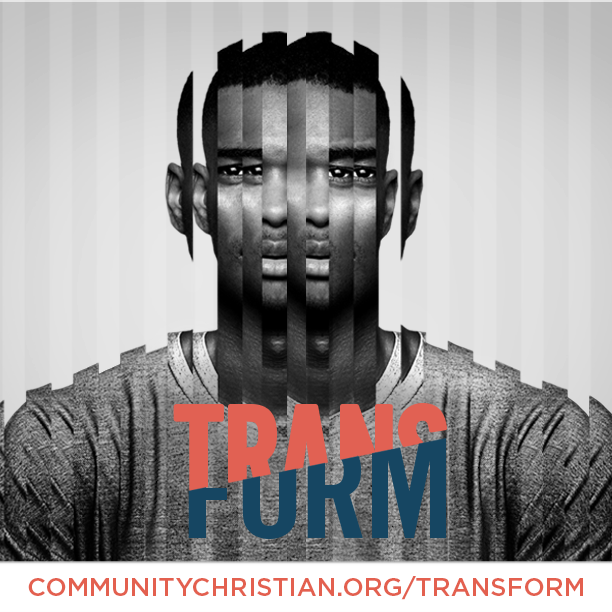 At Community, we just wrapped up a series called TRANSFORM. 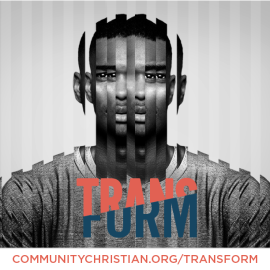 The last week in this series we focused on what it would look like for God to transform our thoughts, which of course led me to ask this question: Why is it so crucial that I let God transform my thoughts? Here’s why…Because My Thoughts Control My Life. The power of your mind, the power of your thoughts, has the ability to shape your life for great good or for bad. My thoughts impact my beliefs, which lead to my behaviors. Behind every act, whether good or bad, is a belief that is acted upon that begins as a thought. Maybe it’s an instant thought or it could be something that we have lingered on for quite a while, but our behaviors begin as a thought. At one point in Spring Training our Chicago Cubs thought they could go to the World Series. Cubs first baseman, Anthony Rizzo, predicted the Cubs would win the division back in Spring Training! Yes, our behaviors begin as a thought! Every single action always begins as a thought. If you don’t think it, you don’t do it. That’s both for good and bad. Good thoughts lead to doing good. Destructive thoughts lead to destructive behavior. Our thoughts control our life. And the good news is this: You and only you have the power to control your thoughts! It’s kind of like having a TV remote in your hand. If you’re watching a channel and you don’t like what you see, what do you do? Change the channel! You don’t have to think about what you’re thinking about. Nobody is forcing you to think those thoughts. You can change them. You can change the channel. Your thoughts are highly controllable. In his letter to Christ-followers in the city of Corinth, the Apostle Paul wrote this: “… we take captive every thought to make it obedient to Christ.” (1 Corinthians 12:3-5) The word for “captive” literally means to conquer. To bring under control. To capture. Growing up playing baseball, I remember coaches telling us when it comes to hitting, “You can’t hold back, you have to attack the ball.” You have to be aggressive when it comes to hitting a baseball. The same is true here. We need to be aggressive when it comes to controlling our thoughts and taking them captive. Paul says we take our thoughts captive and we make them obedient. — Confession time here. My thoughts often disobey. — They rebel. — My mind often has a mind of its own. It can go off thinking all kinds of crazy lies if I let it. That’s why Paul says I need to take my thoughts captive. I’ve got to make them obedient. He’s saying that I have a choice. When a lie enters my thoughts, I can choose to . . .
Stop it in its tracks. OR I can let it linger and begin to believe it. So, what thoughts do you need to take captive? What lie are you letting linger in your mind? Take it captive now and make it obedient to what Christ believes about you and what he wants for your life. You can control your thoughts. Free ResourcesIs It Really Empty?